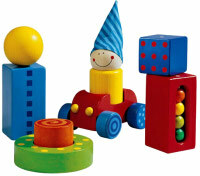 Pinocchio Nursery- the best nursery for your child. Pinocchio Nursery is registered with OfSTED for 26 children between the ages of 6 months to 5 years. Kilburn and Brondesbury stations are a few minutes walk away and West Hampstead station is also nearby. Bus stops: 16, 32, 189, 316 are on Shoot Up Hill and just 3 minutes walk away and C11 on Mill Lane. Pinocchio Nursery occupies a bright and spacious church hall with kitchen, toilet and facilities for disabled. There is an enclosed garden that is securely fenced with access for people with disabilities.